This game yields a 0.18% bank edge against the player, but you have to pay a minimum of 1% per hand collection to the house. So, the game is quite a bit worse than standard blackjack games at about -1.18%, when you bet at least $50/hand. I’ve never actually played the game. I was just interested in solving for the basic strategy of the game, using a C++ program I wrote to analyze blackjack game variations. So, the profitability comes from players inability to play correctly, combined with their bad money management (i.e., gambling problem). But, it’s a race between you as banker, and the house collection to see who’ll take the players money. As you know, the banking collection rate is free for action < $50, $1 for action between $50 and $100, and $1/$100 for total action over $100, reaching a max of $2.50. Of course, you'll end up paying an equivalent of $.50/hand, since you'll probably have to play one hand for every hand you bank. So, when conditions are right, the house collection is somewhere around 1% – 2%, while the players make bigger mistakes than that. (Note that two bankers at the table sharing an average $25 action/hand costs an average of $.50/$25 = 2% collection.) So, if you can spend a lot of your time doing it, banking may be profitable. You can work out the numbers, and I’m sure it beats minimum wage. Your skill in banking is knowing basic strategy (but it’s not that critical; you’ll be making minimum bets as player — player collection for you is a fixed cost, not something you’re trying to minimize by maximizing your bet; of course you can use it as a weapon against the other bank, if you use it to increase his bank collection), patience, and recognizing non-profitable action. But, if by some miracle, players play correctly, then it's a no-win situation. However, from what I've seen at Sycuan, players are hopeless, and you can bank on it. Thanks for your quick reply. With Ocean’s Eleven I would play a $50 per hand when I play and then bank. Assuming the players are playing poorly enough to be playing at a 3% disadvantage how much money on average do you think they would have to bet to make it profitable for me to play? 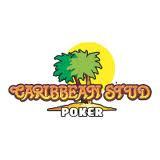 Sycuan: I have played in Sycuan’s no smoking Spanish 21 table 4 times in the last 8 months. I really liked it. How are the comps there? Are there any promotional tournaments there? There’s no reason to play $50 a hand, because it doesn’t decrease your cost to play the hand. You’re stuck paying the $.50 collection, no matter what. Sure, it’s an outrageous percentage of your $5 bet, but it’s a fixed cost you can’t reduce. You’re there to win from the player’s mistakes, you can’t beat the game itself. Save your money for the variance swings against big betters. Like I said, even if there’s only $25 average action per hand, you’re paying $.50 player’s collection for the right to bank the hand. So that’s a 2% cost, for a 3% gross, yielding a 1% net profit per hand. That’s $.25/bank, so if they deal 50 hands an hour, you’ll make (25)($.25) = $6.25/hr. If there’s a full table, on a weekend night, I’d guess the average action is around $150/hand. So the bank collection would be about $2, plus you’d pay the .$50 collection as player for the right to bank. So, that’s $2.50/$150 = 1.67% cost, for a 3% gross, yielding 1.33% profit/hand = $2/bank. That’s be $50/hr profit. Sounds good, huh? You need to study the game, and watch the mistakes people make. The mistakes on the edge of the strategy table (i.e., near the border of decision regions) cost the least, say 2.5%. Mistakes well into the decision regions are well over 5% cost. Try to calculate their loss rate accurately. I’m sure it’ll still work out well for you. Sycuan will feed you, and that’s about it. I get $20 in the mail every month. I just like watching people play poorly. Really, it’s a guilty pleasure. I should probably look towards banking the O11 game, but while I like watching people lose, I’m not sure if I’d like taking their money directly. I re-thought the banking proposition, and I think the proper conclusion is that people in general don’t have as many opportunities to make mistakes, so they’re probably only giving up between 1-2% edge to the house. This really isn’t enough to overcome the cost of banking (the bank collection, plus the player collection for the right to bank). But, what I see is that there’s a few bad gamblers that will lose all their available money in a session. It’s not necessarily that they play really poorly, it’s just that they bet too high, and they keep going until simple variance wipes them out. These are the people you make money from. If everyone played according to their bankroll, it’d be hard to make money banking. You should just wait at the table for the maniacs, and bank at those times. Thanks for the input. I guess like you said it all depends on who am am banking against. I am sure the corporation Banks make money in the long run. I am busy traveling the next two weeks but I am interested in checking out the local card rooms when I get back. I have had 3 successful visits to Ocean’s Eleven. Time will tell if it keeps up. There is a BJ game in Vegas where you can Triple down on 9, 10 , 11. But they pay even money on Black Jack. I have 2 questions. Would you triple down if dealt a BJ vs 5 or 6? What is the overall game advantage? The Wizard Of Odds lists that triple-down on any two cards is a +1.64% advantage, but even-money blackjacks are a -2.27% penalty, so the net is a worse game. Are there any other different rules that might help the player? How do you like banking the O11 game? Do you feel any conflict with the corporation bank? it is a double deck game at Texs Station in Vegas. no other special rules. 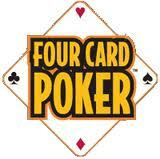 Would you triple down if you were dealt blackjack vs 6 or 5. Wait the only helful rule is BJ auto wins vs Dealer Bj. I liked banking at O11. The corp bank seems to be manned by people being paid an hourly wage just to sit there. They don’t seem to care. I am the only one banking, the other players never choose to bank. Hey, Steve, It has been awhile. In the no bust chart , why would we hit 10 vs 10 and double 10 vs A ? PS I like the new Barona BJ with the side bet on whether you will win or not. It seems Ocean’s has changed their rules. They no longer allow surrender or doubling on multi-card hands, according to the flyer I picked up. Any chance you could share your source code for the simulation you did? I’d like to generate a BS chart for the game they currently have, as I am very interested in the power of combining counting with banking. I also have some Spanish 21 simulations I’d like to run, similar to the card counting one you did. Thanks!